Lemon GreenTea: BRITISH BANDS THE VAMPS AND NEW HOPE CLUB PERFORM AT VERTIS NORTH OPENING TONIGHT! 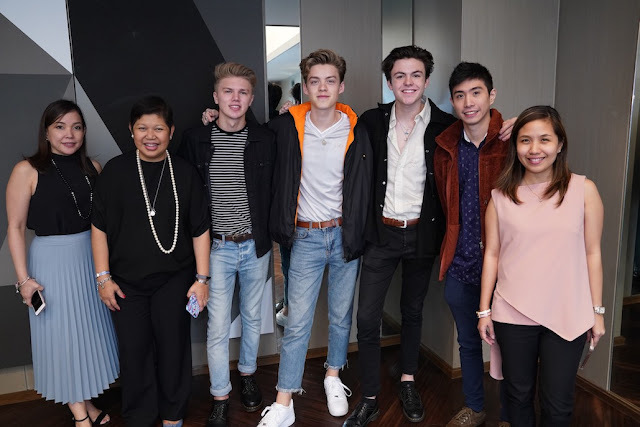 BRITISH BANDS THE VAMPS AND NEW HOPE CLUB PERFORM AT VERTIS NORTH OPENING TONIGHT! 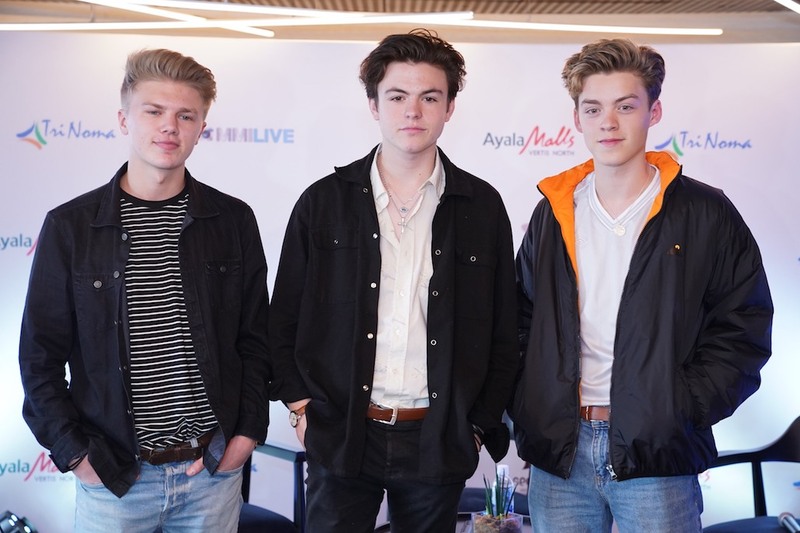 Ayala Malls Vertis North celebrates its grand opening by bringing in British pop groups The Vamps and New Hope Club to officially welcome the community with their upbeat music. The Vamps, which burst onto the music scene in 2013, have been taking the world by storm with hit singles, smash albums, world tours, sold-out concerts, and their own record label—and they show no signs of stopping. 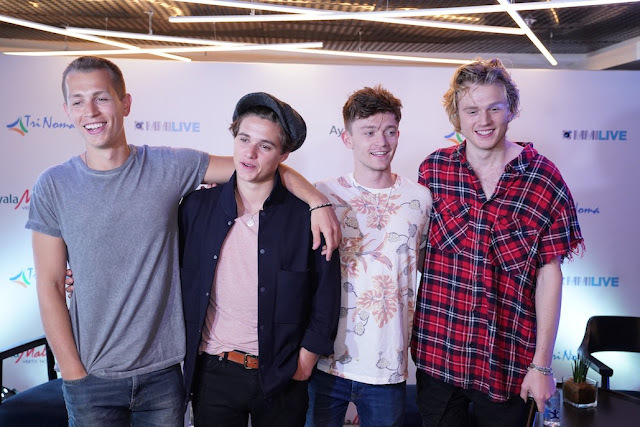 Brad Simpson (lead vocals and guitar), James McVey (lead guitar and vocals), Connor Ball (bass guitar and vocals) and Tristan Evans (drums and vocal), love performing and as they bring their beat to Manila, this energetic, and multi-faceted young band is sure to keep you up all night. New Hope Club is made up of young musicians Blake Richardson, George Smith, and Reece Bibby, are also set to serenade mall goers with hits that they have written themselves, like their breakthrough single “Perfume.” The trio packs their every song with an infectious energy and irresistible sense of fun, so get ready to sing along to their music and expect to hear a lot of lively beats from their album Welcome to the Club. The Ayala Malls Vertis North in Quezon City. The first mall that caters to the hip lifestyle of today’s young generation. Ayala Malls Vertis North is set to be the trendsetter for modern fashion, food, and fun in the north. It boasts a fusion of modern technology, art, and passion, which gives birth to exciting and cutting-edge innovations—the key things that influence the millennial generation. AC Legarda, Senior Division Manager and Area Head of Ayala Malls Group, Ayala Land Inc, Rowena Tomeldan, Head of Operations & Support Services - Commercial Business Group, Ayala Land Inc., New Hope Club’s George Smith, Reece Bibby, Blake Richardson, JC Genato, Associate Marketing Manager, Ayala Malls Vertis North and Maan Paras, General Manager of Trinoma and Ayala Malls Vertis North. With all the fun and fashionable offerings of Ayala Malls Vertis North, it’s bound to be the new hangout of the free-spirited, the always connected, and the socially active northern community. 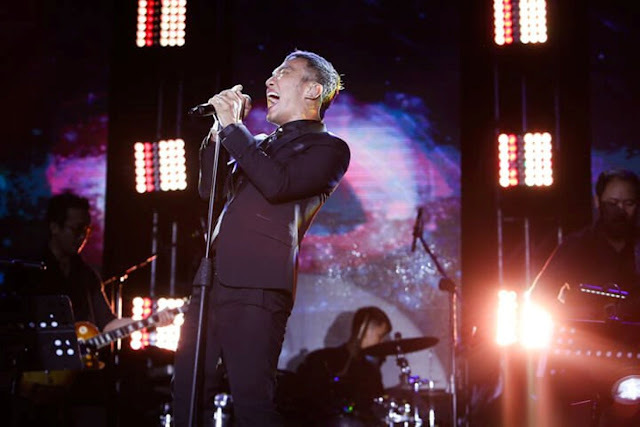 Be sure to catch the bands as they perform at the Ayala Malls Vertis North for one night only, on October 6 at 8pm. For updates on the show and other hip happenings, contact 718-5000 loc 6366 or follow the official Ayala Malls Vertis Facebook and Instagram social pages. Start following our signals NOW and earn up to 270% daily. Did you know that you can get these ON AUTO-PILOT & TOTALLY FOR FREE by using Like 4 Like?